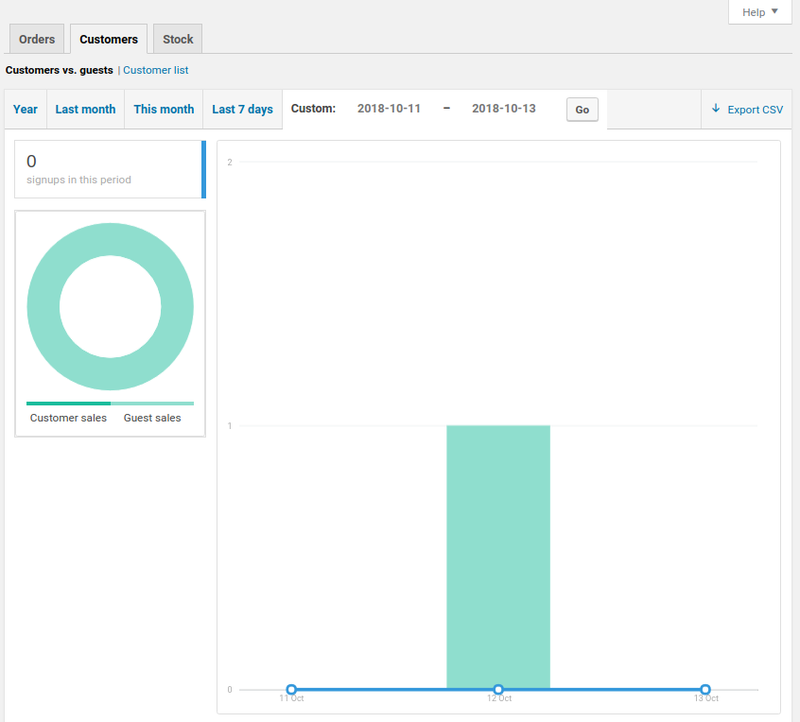 As we continue our series on WooCommerce Reports, we will now show you how to view customer reports. 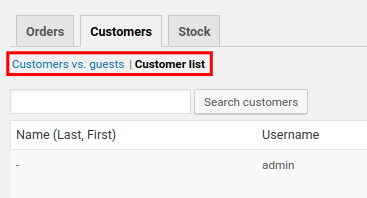 From there you can view a list of all customers and view the ratio of registered customers to guests. This can help you manage customers and gain insight into your target audience. 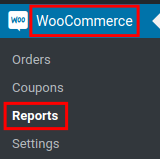 Click WooCommerce then Reports in the navigation menu. Click the Customers tab to access the reports. You will then be on the Customers report page and can choose if you want to view a "Customers vs. guests"" or "Customer list"" report. 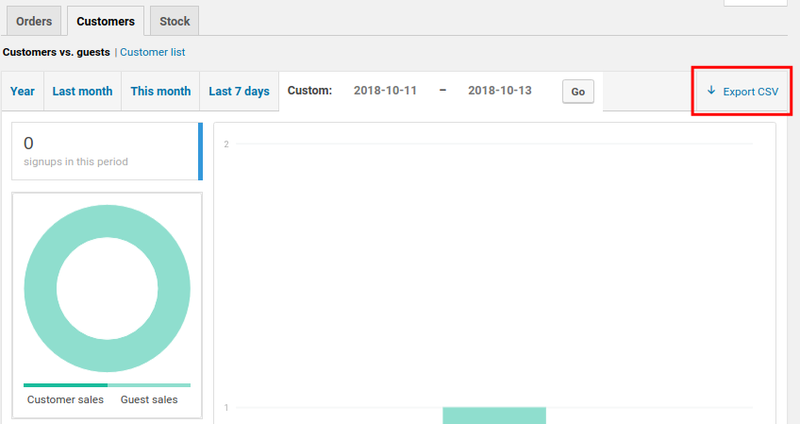 Select the time period you want to view the report for. Choose from year, last month, this month, last 7 days, or a custom timeframe. If you enter a custom time-frame you must click the Go button. You will then see the results of your customers report. You can click the Export CSV link to download the report. 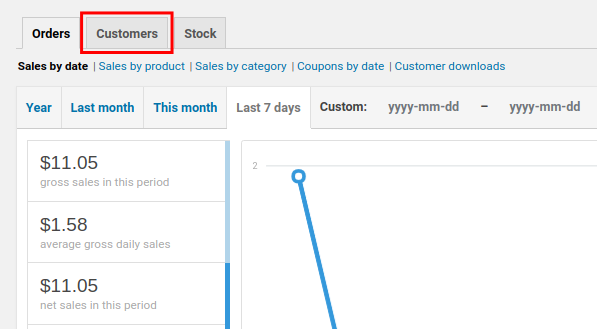 Congratulations, now you know how to view customer reports in WooCommerce! In the next guide, we will show you how to view WooCommerce Stock reports.